What is hypothyroidism, and what tests and treatment should you have? You are more at risk of having thyroid disease if you have a family history of thyroid disease, or if you or a family member has other autoimmune disease like rheumatoid arthritis. Women are seven times more likely than men to develop a thyroid problem(!) and women are particularly vulnerable during times of hormonal change (after birth, or around the menopause). The risk of thyroid problems increase with age - by the age of 60, a woman has a one in five chance of having a thyroid problem!! TSH: The thyroid stimulating hormone is the hormone secreted by the brain that kicks the thyroid gland to produce hormones thyroxine (T4) and triiodothyronine (T3). T4: T4 is the hormone that is principally produced by the thyroid gland, which is then converted in the liver and kidney to the metabolically active T3 hormone. T3: It is the T3 that is responsible for regulation of metabolism, energy production, body temperature, body fat, cholesterol, cognitive function, and symptom improvement. Thyroid autoantibodies: The underlying cause of hypothyroidism may be autoimmune disease so it is important to test for antibodies against the thyroid gland. However, beware: all too often only the TSH is tested – this is insufficient! The biological effects of T3 and T4 at the peripheral tissues reflect the severity of hypothyroidism. Moreover thyroid treatment should be guided by T4 and T3 thyroid hormone concentrations. Optimization of thyroid treatment means going beyond just getting levels into the normal range but rather getting levels right for that person, so that they experience relief of all their symptoms. For some people this may mean having thyroid hormone levels at the upper range of normal. Antibodies should also be checked and there is some evidence that people with normal TSH levels who have thyroid auto-antibodies and symptoms should be treated because treatment may slow down elevation of antibodies. Currently, there is uncertainty about what level of TSH should be aimed for. In my experience too many patients get late diagnoses of thyroid problems and are left untreated for years. Some patients are only commenced on thyroid treatment when they have a TSH that is above 10, having been told that a TSH of 4-10 is 'subclinical hypothyroidism' – however there is good evidence that patients with such ‘subclinical hypothyroidism’ are at increased risk of atherosclerosis and myocardial infarction. So if you are told your TSH is normal make sure to ask for the actual numbers. What medication might you be prescribed? T4: most commonly, it is T4 that is prescribed and usually the brand name Levothyroxine. There are a few different brands and if possible stay on the same brand if it suits you well, as a few patients notice differences when switching brands. T3 – usually the brand is Liothyronine or Cytomel. Desiccated thyroid extract from a porcine source: this contains T1, T2, T3, T4 and calcitonin. Armour and Nature-throid, are some brands of dessicated thyroid extract. 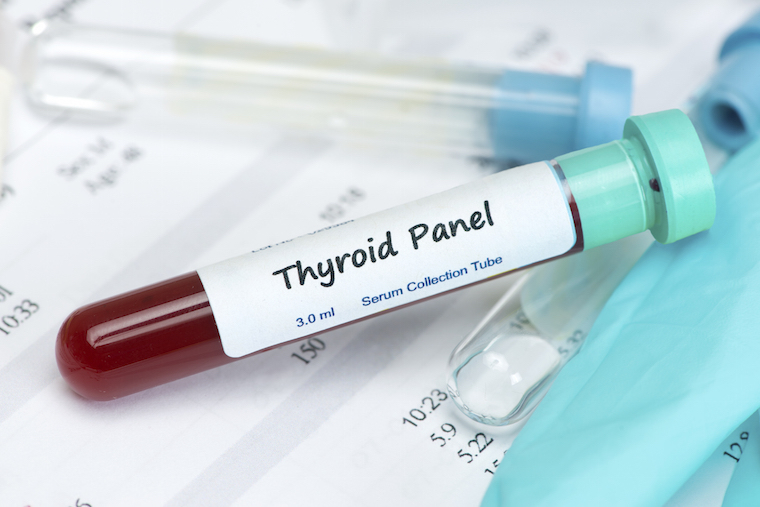 Thyroid hormone is mostly prescribed as thyroxine, or T4, and many patients get better on this. There may be some patients, however, who are not adequately converting their T4 to T3 (the most metabolically active thyroid hormone at the cell level). Why might someone not adequately convert T4 into T3? A genetic fault of the 5’-deiodinase enzyme is one cause; lack of elements such as zinc and selenium or gut problems (since T4 to T3 conversion takes place in the gut) may all contribute. Whatever the cause for the inadequate conversion of T4 to T3, some patients have persistent symptoms of hypothyroidism despite adequate T4 replacement and this subset of people find their wellbeing is restored by using a different thyroid replacement medication that contains both T3 and T4. If you suspect that you may have hypothyroidism, get a blood test for TSH, T4, T3 and thyroid autoantibodies. If you are told your thyroid is normal but still have symptoms of hypothyroidism, check what was tested and what the numbers were. One-year prophylactic treatment of euthyroid Hashimoto's thyroiditis patients with levothyroxine: is there a benefit? Effects of prophylactic thyroid hormone replacement in euthyroid Hashimoto's thyroiditis. Combined therapy with levothyroxine and liothyronine in two ratios, compared with levothyroxine monotherapy in primary hypothyroidism: a double-blind, randomized, controlled clinical trial.